After two successful days of seminars and sea trials in Napoli, the PTA80 bids farewell to her old crew and welcomes aboard a new skipper and crew. 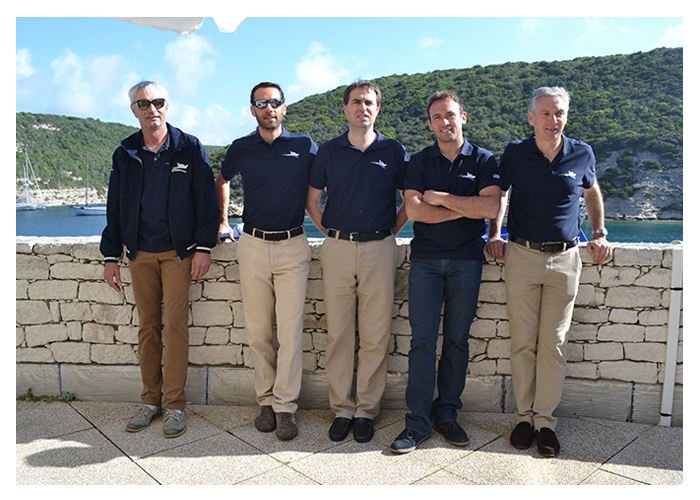 An eventful voyage from Marseille to Napoli ended with fond farewells from Aniko Holm and Arne Wettesten, as the vessel welcomed new captain Marco Derossi and new crew members Thomas and Tobias Hansson. The two days of seminars and sea trials saw another excellent turnout, with many local and regional customers travelling to Napoli to experience first-hand the wonders of Volvo Penta IPS. With Marine Leisure being established for over a decade, customers were interested in the latest features of Volvo Penta IPS, such as the joystick driving. Alternatively, customers from Marine Commercial were asking more conceptual questions in an attempt to get to grips with Volvo Penta IPS. Once everyone got out of the seminar room and on to the water, however, opinion was unanimous – commercial and leisure customers were all in agreement that the inboard propulsion system was highly fuel efficient and an expert in maneuverability. As the PTA80 continues on her Mediterranean voyage, one thing is becoming ever clearer – whether customers are from a commercial or leisure background, Volvo Penta IPS never ceases to impress and surprise. This entry was posted in Uncategorized on May 30, 2014 by Volvo Penta. Having weathered a few storms, the PTA80 and her crew were back to plain sailing, with two days of successful sea trials conducted in and around the Bonifacio harbor. With the vessel making up for lost time on her journey from Propriano to Bonifacio, the crew saw their early arrival as the perfect opportunity to begin a preliminary round of sea trials. A plain sea but strong winds made for excellent test-driving conditions, when the dynamic positioning system and docking capabilities of Volvo Penta IPS were really put to the test. Despite forceful gusts the joystick kept the boat in a precise position. 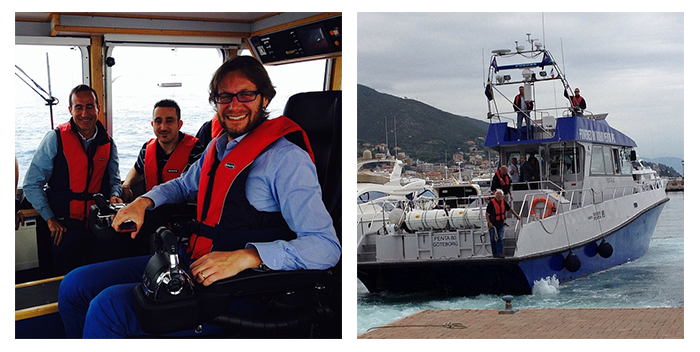 Mr Pepe, responsible for Bonifacio’s commercial harbor, and Mr Mallori, responsible for the town’s leisure marina, were both in attendance during the second day of sea trials – along with the rest of Bonifacio! “Many people from the town came to watch the PTA80 out on the water – with a narrow, crowded harbor, the precise maneuvering of the vessel was an impressive sight,” reported Andrea Piccione. This entry was posted in Uncategorized on May 27, 2014 by Volvo Penta. A school of Dolphins decided to join the Mediterranean Trip between Genova and Bonifacio. This entry was posted in Uncategorized on May 23, 2014 by Volvo Penta. After an impromptu stopover in the southwestern Corsican port of Propriano yesterday, the PTA80 and her crew have been given the all-clear to continue 35 miles south to their destination of Bonifacio. With winds stilling and the seas looking considerably calmer, the PTA80 and her crew are getting the Volvo Penta IPS Med trip back on track. Although this emergency stop was a first on the vessel’s Mediterranean voyage, it was hardly a surprise. 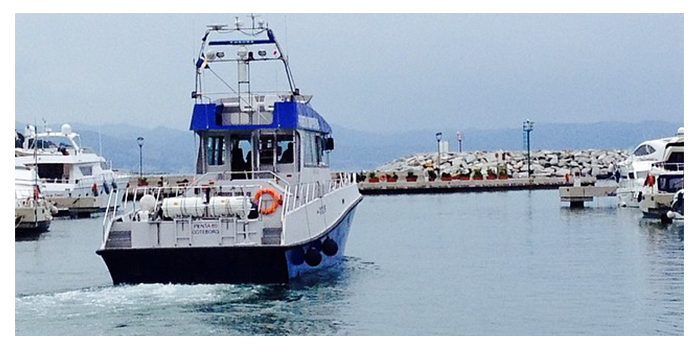 “We knew the PTA80 had the potential to run into difficulty when we planned this portion of the route,” says Volvo Penta product manager Andrea Piccione. With the southern waters of Corsica notorious for extreme sea conditions, Andrea and the other crew members allowed themselves an extra day, in anticipation of a possible squall. This entry was posted in Uncategorized on May 22, 2014 by Volvo Penta. Despite the PTA80’s early departure from Genova this morning to avoid poor incoming weather, her efforts were in vain — and the vessel and her crew were forced to make an emergency stopover on the west coast of Corsica. The crew of the PTA80 decided to make an unexpected stopover this afternoon, as conditions at sea put a halt to the boat’s journey to Bonifacio. A first-time occurrence on the Volvo Penta IPS Med Trip, the vessel and her crew resigned themselves to an emergency mooring at the western Corsican port of Propriano until weather in the southern region begins to calm. With dangerously strong winds and waves almost five meters high, the coast guard deemed conditions too severe for the PTA80 to continue on her journey. Volvo Penta product manager Andrea Piccione made assurances that the Volvo Penta IPS Med trip would attempt to continue on to Bonifacio in the morning. “We’ve been told conditions should improve around noon tomorrow, so until then, we’re going to stay safe in Propriano and wait for the storm to pass,” he says. This entry was posted in Uncategorized on May 21, 2014 by Volvo Penta. After two days in Genova, the IPS Med trip continues on to its next destination. 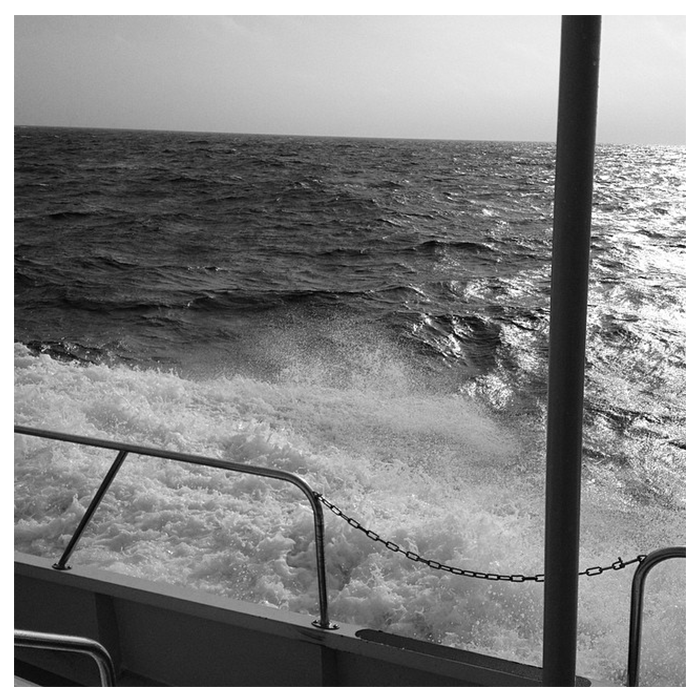 With turbulent seas and inclement weather, it’s been a rough stopover. Not necessarily a bad thing for the sea trials, however, when poor weather actually makes for a more comprehensive test drive. On 19th and 20th May, the PTA80 docked in Genova, Italy, for two days of sea trials and seminars. Once a historic maritime port, Genova’s Ponte dei Mille is today home to a technologically advanced cruise terminal which has been developed using ultra-modern and contemporary designs. 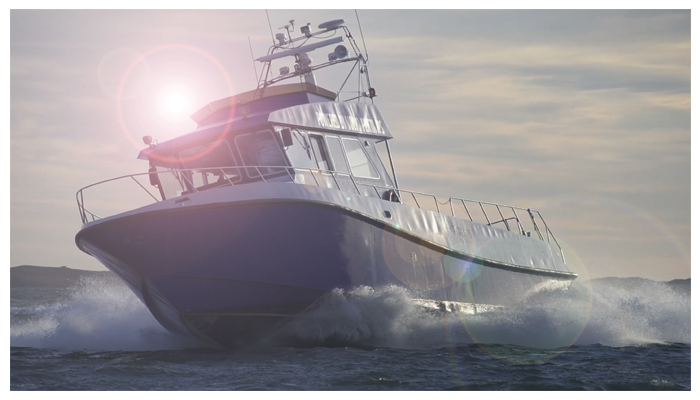 Equally cutting-edge is Volvo Penta’s own reason for visiting: the Volvo Penta IPS system is attracting a lot of attention during the company’s trip with the PTA80, and rightly so. With improved fuel economy, better maneuverability and lower overall operating costs, the Volvo Penta IPS is a cut above the rest when it comes to current inboard propulsion systems available on the market today. With stormy weather creating choppy waters, customers had the perfect opportunity to test out the advanced functions of Volvo Penta IPS. The joystick driving handled particularly well in tricky conditions, and customers came away impressed by the system’s agility. With conditions set to only get worse, the crew of the PTA80 decided to make a dawn departure for Bonificio, Corsica, before the bad weather really set in. However the rain didn’t dampen spirits, and the Volvo Penta team left Genova excited about the way Volvo Penta IPS is continuing to impress as the PTA80 makes her way eastward. Greetings from the Spanish stopovers!